All healthcare providers understand the importance of measuring the effectiveness of the care they provide. More than ever before, measurement of quality, safety, outcomes and value is a focus of hospitals across Europe and beyond, and key to delivering effective and efficient care. Want to reduce avoidable variation and improve performance. Seek collaboration and learning – not simply ranking – to drive improvements that matter to patients. Want to share best practice to maximise their progress with measurement. Need scalable solutions so that all can participate, no matter where they are on their data journey. 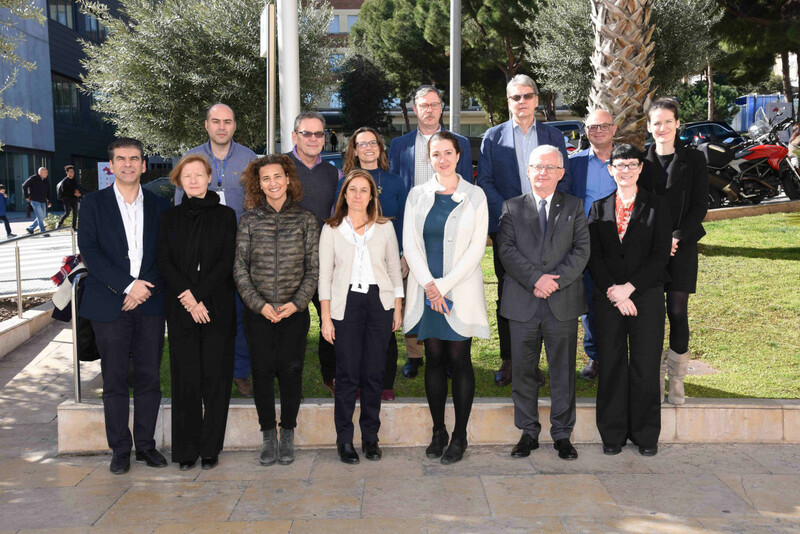 The QSOV Working Group brings clinical and managerial expertise to the shared needs and interests of ECHO member hospitals as we seek to improve paediatric healthcare quality together. Unlike larger networks, where the direction is often pre-set, the QSOV Working Group’s benchmarking programme is shaped by its members to ensure salient support to benefit all ECHO organisations. 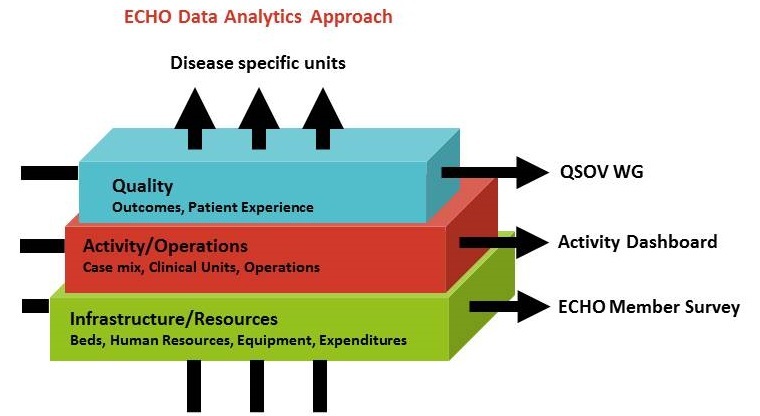 The QSOV Working Group is part of a larger, interrelated data analytics initiative by ECHO where we seek to look at multiple layers of data that influence the quality of patient care. The primary aim of this collaborative is to compare and benchmark meaningful and relevant outcome measures in the Paediatric Intensive Care Unit (PICU). Benchmarking will allow sites to be aware of the variations in practice across the group, identify and implement best practices, and eventually impact patient outcomes. The founding principle of the collaborative is that of “collaborative learning”. The PICU Qality Initiative Collaborative was started and is run by Boston Children’s Hospital and includes participants from children’s hospitals around the world, allowing ECHO members to compare themselves within Europe and beyond. Transitioning from adolescent to adult care can be challenging in any circumstance, but can be especially difficult for patients with complex or rare conditions. ECHO member hospitals care for a significant portion of adolescents with rare and complex diseases and are committed to ensuring that the best policies and practices are in place to ensure a safe a smooth transition to adult care for these patients. One challenge to benchmarking is sharing data in a standardized format. ECHO is working with members to identify a standard set of process and outcomes measures that can be shared on a common data platform.